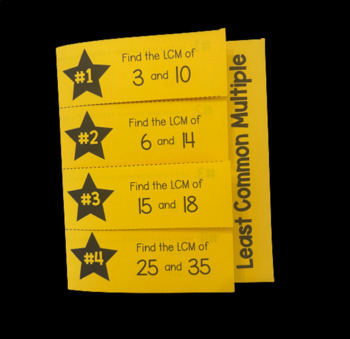 This foldable organizes 4 practice problems for finding the LCM of two numbers. 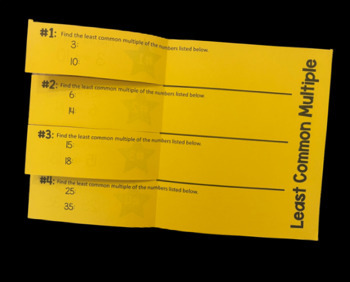 This foldable is PERFECT for interactive math notebooks. Works great during whole group/ guided instruction, as a centers activity, class work assignment, or even a homework assignment. Directions & an answer key are provided!